Check out the attached Alabama Arena Cross Series Information. 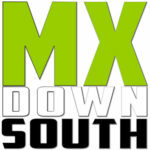 Additional info maybe found at http://www.cornermxpark.com/arenacross.html. The first race is the weekend at Celebration Arena in Priceville, Alabama.